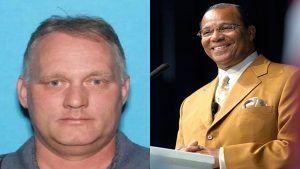 Not one word about the fact that the Pittsburgh shooter explicitly said he was motivated by the conspiracy theories about the “caravan” of immigrants that Trump was pushing?! He chose a shul precisely because the local shuls had hosted a HIAS event in support of refugees. The fact that you left this out of your post destroys any credibility you might have had. This (typically) anonymous comment demonstrates the accuracy of my statement about the mutual, self-contradictory reasons why Trump was supposedly to blame. This writer does not assert that Trump encouraged supremacist groups, but rather that he encouraged “conspiracy theories about the caravan of immigrants,” which Bowers tied to HIAS. Although supremacist groups undoubtedly support conspiracy theories about immigrants, both legal and not, encouraging them and their Jew-hatred, vs. encouraging anti-HIAS hysteria which then turns to hatred of Jewish support for HIAS, are two very different things. It is telling that Trump is accused of “racism” and “conspiracy theories” for echoing the precise sentiments of then-President Bill Clinton regarding illegal immigrants in his 1995 State of the Union address, to extended bipartisan applause. It is also telling that the writer uses “caravan” in scare quotes, as if “migrant caravan” were not the common term used for the large group of South Americans poised to attempt to illegally enter the United States. Bowers chose a shul because “all Jews must die.” Sadly, the commenter proves not only my specific point on the specious reasons used to blame the President, but the larger point about trying to find ways to blame anti-Semitism on something other than hatred of Jews. Will the Left continue to coddle and support a host of blatantly antisemitic public figures in and out of government? Will the sun rise in the east? This is not really true. The shooter hates Jews because he believes they are irredeemably hostile to white Christians and express an anti-gratitude to their host nations by endlessly advocating for mass immigration and other policies and ideas designed to weaken the cohesiveness of the majority culture. One of the sources he got this view from is the burgeoning far-right presence on the internet, particularly those who are inspired by the works of Kevin MacDonald (which everyone should read for roughly the same reasons that everyone should read the works of the Satmar Rebbe). Another source are Jewish media personalities, intellectuals, and organisations who endlessly announce that this is in fact the case and that Jews will always advocate for higher levels of immigration precisely because the are Jews and that this is a non-negotiable component of their Jewishness that they will never change. The inevitable backlash this creates only strengthens their resolve: ‘see, look how anti-semitic these [insert host country here] people are, we must work even harder to make them a minority’ and so the cycle continues. The relationship of official Jewry and anti-semites is symbiotic. Anti-semitism is a punishment for Jews because of their sins. Since there has been a lot of sinning over the past 200 years, there has been a lot of anti-semitism. It’s not rocket science. However, as we know, G-d usually works through hidden causes. Over the past 200 years he has worked by having renegade Jews play a disproportionate and prominent role in every form of destructive leftism, which inevitably (though, I emphasize, not fairly) makes people hate Jews. No Holodomor, no Holocaust. The irony is that Trump’s blend of content-free civic nationalism, protectionist stimulus, immigration controls, and aggressive philosemitism is the last chance that America has to save itself from becoming Brazil + Muslims, a destination that will be particularly bad for Jews who will find themselves equally despised by the Coalition of the Oppressed who view them as rich whites who deserve to be plundered, and heritage Americans bitter at their dispossession. Hence their manic, vitriolic hatred for Trump among the American Jewish elite. Those who G-d will destroy, He first makes mad. Hello! The Pittsburg murderer hated Trump, felt he was under the influence of Jews, and stated so explicitly. I am baffled how the Left twists itself into a pretzel so that President Trump takes the blame for murder committed by an anti-Trump far-Right extremist. Just look at what you are saying its – its ludicrous and completely irrational! It would be nice if HIAS and other Jews pushing for more immigration would at least admit that they are doing something deeply unpopular with many Americans, and are causing anti-Jewish animus by doing so, especially- but not only- if they do so as Jews. It might even motivate them to act a little more cautiously, or maybe leave the controversial stuff to the non-Jews. But they probably don’t even know that people disagree with them, or, if they do, they simply write them off. Regardless of what killers like this offer up as their motives/excuses/smokescreens, what really moves them to go beyond just hatred and kill may be a whole other thing. Antisemites have accused us of everything and its opposite, often in the very same rant. As for “renegade Jews”, these have come in all flavors for millennia. They all want to portray something false, whether it be some religion or some antireligion, as Judaism. They cherry-pick and twist elements of our sacred writings and traditions. We have all varieties of such people hounding us or trying to seduce us nowadays. We’re fighting a defensive battle on numerous fronts. Socialists, National Socialists, radical Muslims, and others act out their own characteristic forms of antisemitism. Faced with this, we’re certainly not obliged to fight on one front and ignore all others. But there are qualitative and quantitative measures of where the greatest current threats lie, which is where the greatest defensive efforts must be mounted. One can fully accept that Nazis and other fascist types are threats, while acknowledging that the threat posed by the Left in league with radical Muslims now dwarfs the others. Jews inclined to be liberal, no matter which party they claim to belong to, have too often blinded themselves to threats from the Left. This is why ADL, the JCRCs, and other liberal “defense organizations” now sit somewhere between useless and harmful.